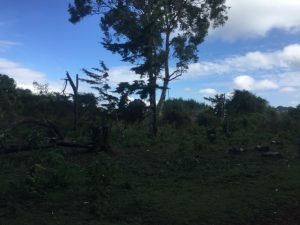 After our adventures on a safari in Lake Nakuru National Park and a day off on Saturday, my last Sunday in Kenya comprised of some great experiences. After our scheduled long run in Singore Forest in the morning, we scheduled some time to meet with running champion Helah Kiprop at her farm. 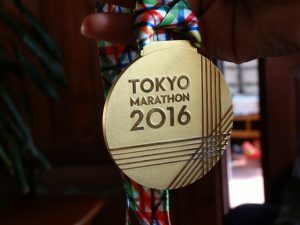 In 2016, Helah won the Tokyo Marathon and competed at the Rio Olympics on Kenya’s marathon team with Jemima Sumgong and Visiline Jepkesho. 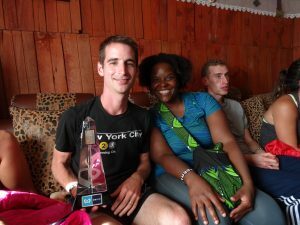 She has won other marathons and is currently in training to break the woman’s half marathon record this year. Since we had a busy day ahead of us, we ate our staple HATC breakfast of mandazi, egg and chai to fuel us during our activities. First, we packed into the van Kenyan style (more people inside than the vehicle would ideally allow) to head to Singore Forest. 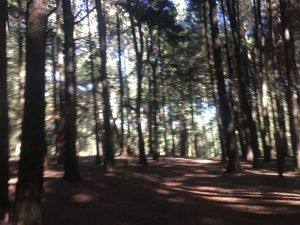 Many athletes do their long runs in this beautiful, but hilly forest. It is a tough run, but the views make it worth the effort. I will always remember running the segment along the edge of the escarpment of the Great Rift Valley. Although I had adjusted to the altitude really well, I couldn’t help but fall two to three times during this run. I came to the conclusion that next time I will definitely run in trail shoes. Once we finished running for a good 90 minutes, we drove back to our training camp. I instantly cleaned up and wiped alcohol where I broke skin—ouch! 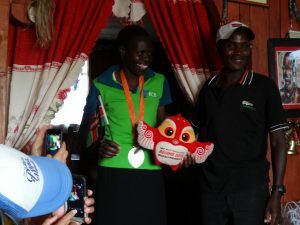 After eating lunch we headed back out to visit Helah Kiprop and her husband David Marus. 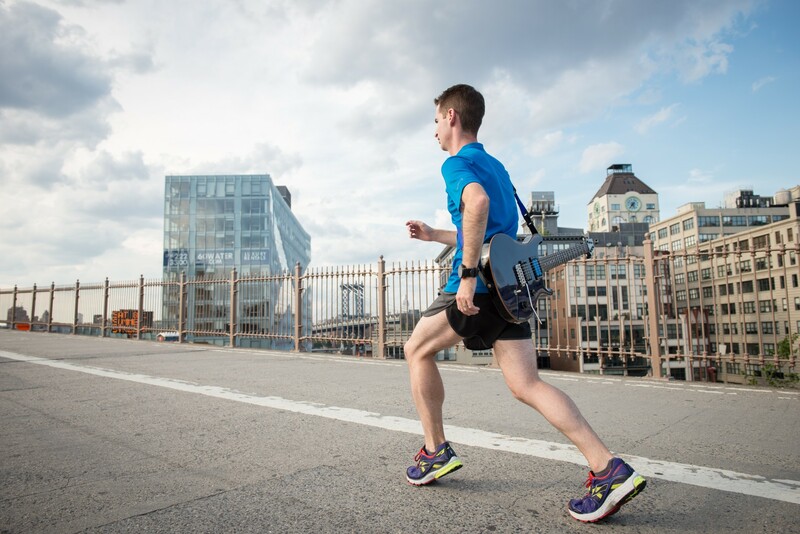 Davis coaches Helah and is a wealth of information on running and nutrition. 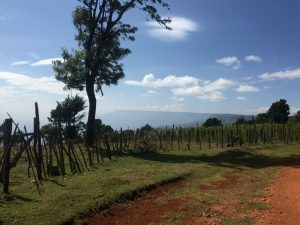 As with many athletes, Helah’s training base is Iten, but lives outside the area when off season. She receives everything she needs in training at the farm. She even has her own cow that provides her with milk. We sat outside for a bit chatting about her running background and her current training program. David shared quite a bit of details about how she trains. He also shared how she fuels her workouts. It’s not uncommon in Kenya to share information about training. 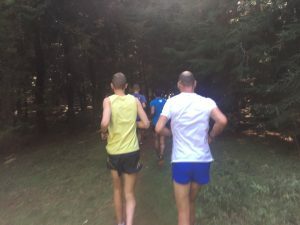 As David said, “There are no secrets.” During the 2016 Olympic preparations, both the men and women’s marathon team met to exchange training philosophies and workouts. 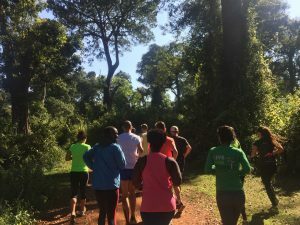 I’m convinced that this is one of the reasons Kenya dominates running: the athletes not only train together, but they also don’t keep their training a secret. Helah Kiprop currently plans to run her next half marathon in 65 minutes. For a world record race, one needs to prepare and have a specific program. This means an athlete must train to run 13.1 miles in 65 minutes, not 64 minutes. She will have plenty of help on the course. In addition to coaching her, David will also pace her for this race. While we asked David questions, Helah went back into the house to surprise us with fresh fruit from the farm. She invited us inside to partake of the food and to see many of her medals. 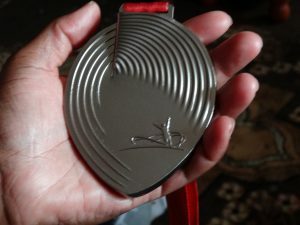 I felt inspired as I held her Tokyo gold and World Championship silver medals. It made me want to run my upcoming marathons to the best of my abilities. 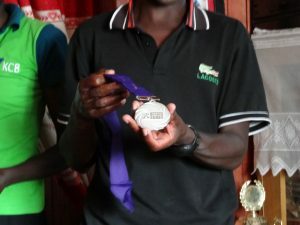 Athletes like Kiprop, Gebrselassie, Kipsang, Kipchoge, Keitany and many others provide that inspiration. Sometimes training becomes difficult both mentally and physically. For marathoners it’s not uncommon to wonder why we put a lot of time in training for an event that we might not finish. However, I find the marathon more of a journey than a final destination. The marathon has taken me out of my comfort zone and has allowed me to meet great people. 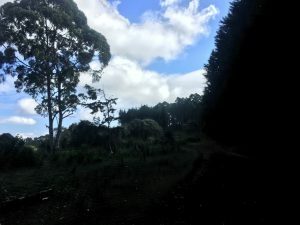 It has led me experience life in Africa and has inspired me to be a positive influence in a not so healthy world today.